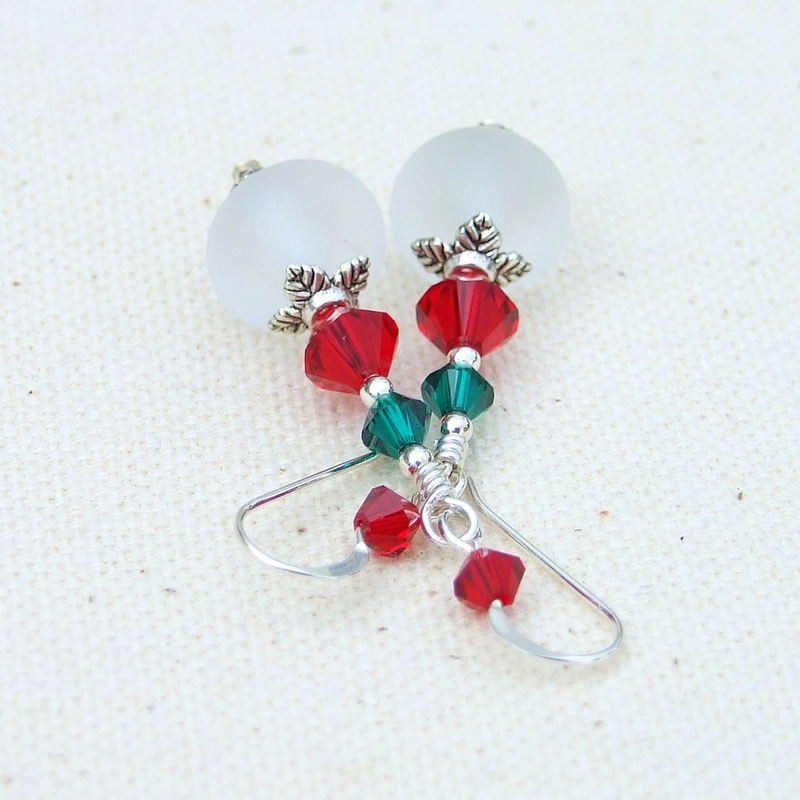 Not your ordinary holiday earrings, the one of a kind FROSTED CHRISTMAS earrings are classy and more than a bit flirty at the same time. 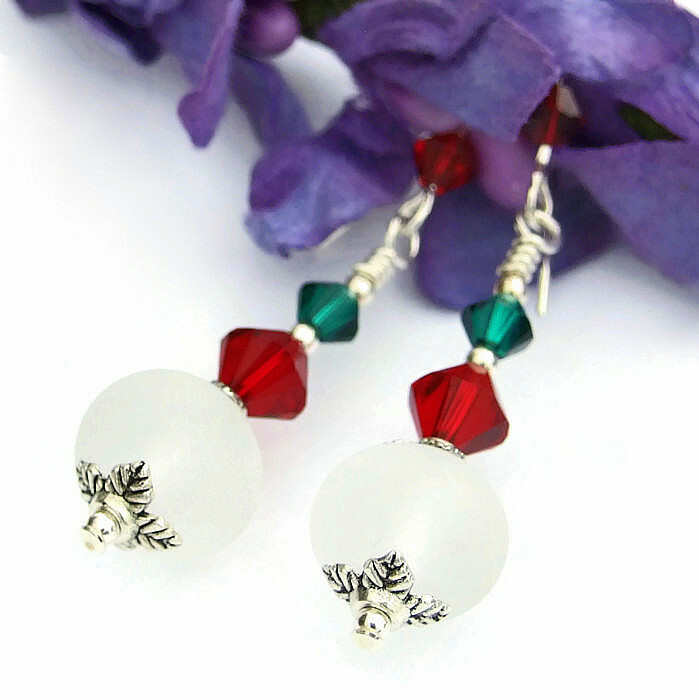 The handmade earrings feature glowing, individually artisan made lampwork glass beads that were etched for a winter white frosted sea glass look for subtle glamor. Lead free pewter bead caps cap the top and bottom of the glowing glass beads to resemble holly. 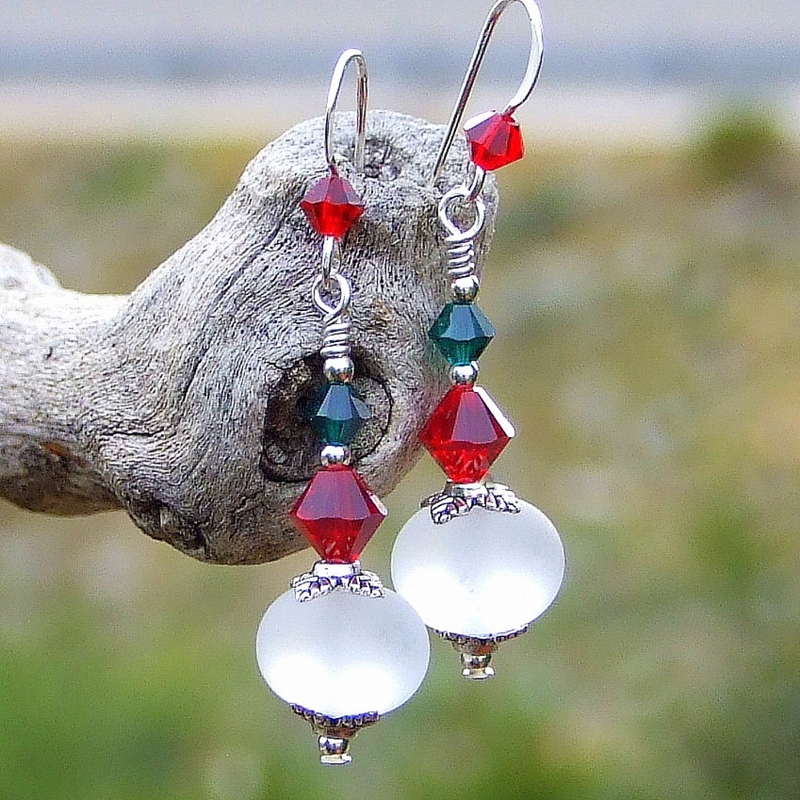 To add major Christmas sparkle, two sizes and colors of faceted Swarovski crystal bicones were used. Larger Siam red and smaller emerald green Swarovski crystals were stacked on top of the lampwork beads, separated by 2 mm sterling silver beads. 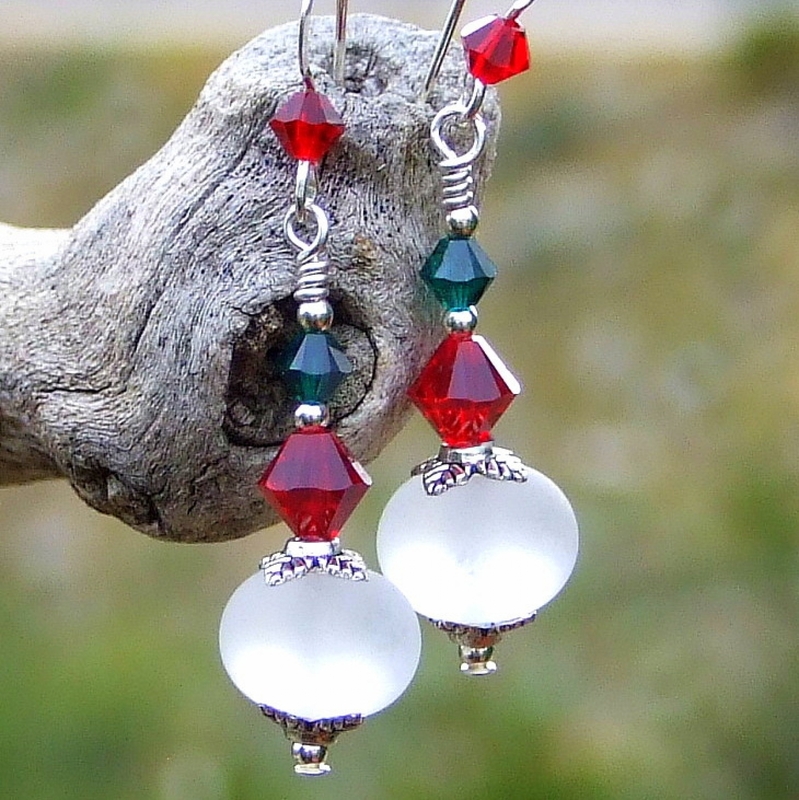 Sterling silver earwires with Siam red Swarovski crystals finish the unique, festive look. 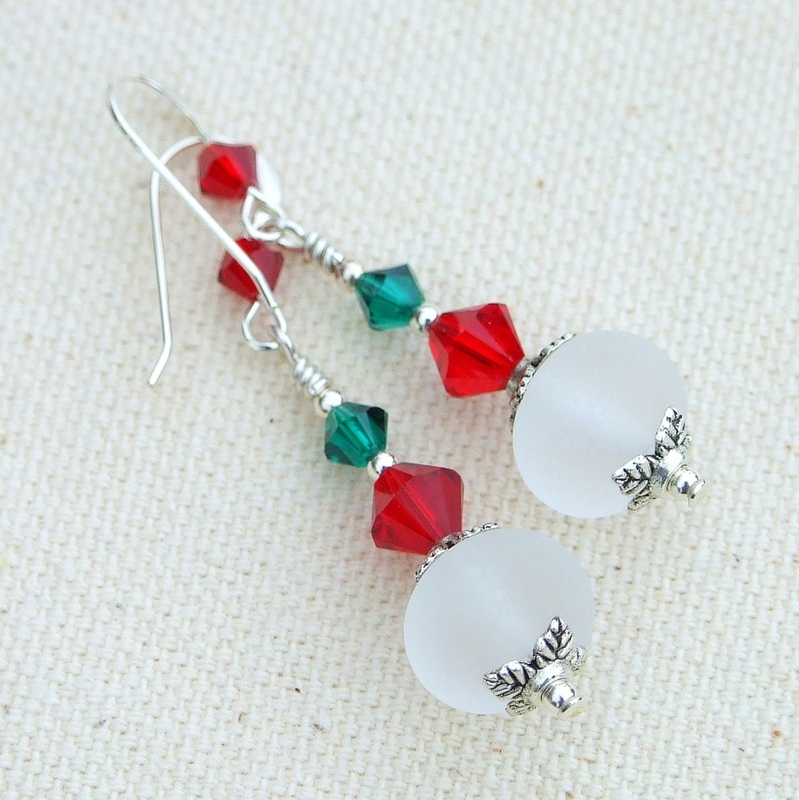 Perfect and eye catching to wear to those holiday parties, the FROSTED CHRISTMAS earrings were designed and handmade for the woman who adores artisan designer jewelry. *** Please note: The Siam red Swarovski crystals in the photos look lighter in the photos. They are a rich ruby red color in real life. 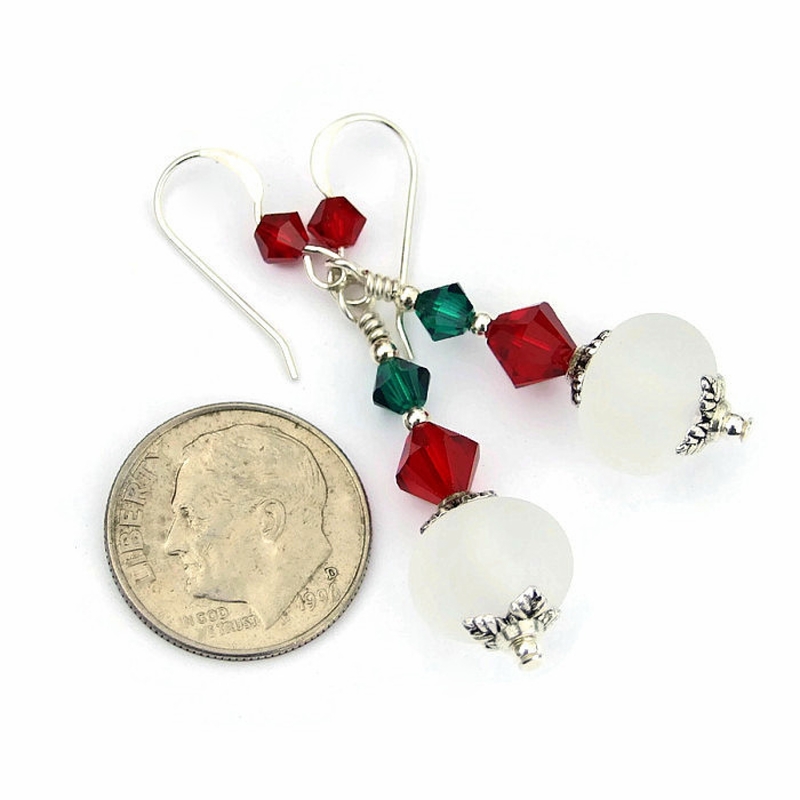 For a better understanding of the relative size of the FROSTED CHRISTMAS handmade holiday earrings, please be sure to check out photo #5 for a size comparison with a dime. Glass and crystal, although man made, carry the energies of transformation, rebirth and communication. Pewter is believed to be very grounding, bringing the wearer back to reality. Silver is a metal of love and healing; it is a mirror to the soul, helping us to see ourselves as others see us. 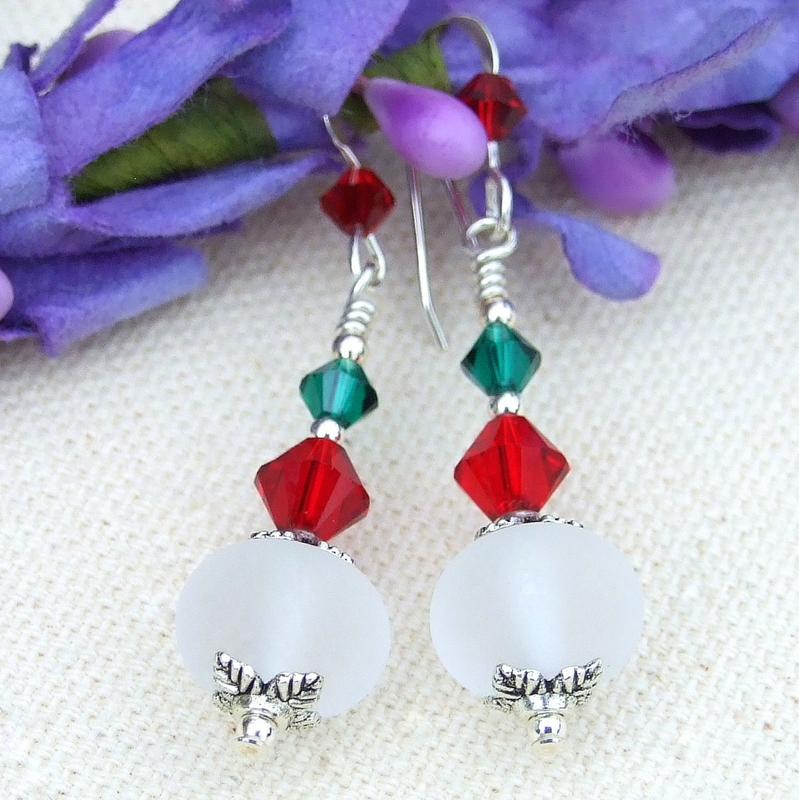 The FROSTED CHRISTMAS artisan earrings were carefully designed and handmade in a dog friendly, smoke free studio. They will be carefully packed in an organza jewelry bag with tissue, perfect for gift giving to a loved one . . . or to yourself!